Soyinka, playwright, poet, novelist, and the first African writer to ever be awarded the Nobel prize in literature, confirmed he had followed through on his pledge to destroy his green card if Trump won. "As long as Trump is in charge, if I absolutely have to visit the United States, I would prefer to go in the queue for a regular visa with others. I'm no longer part of the society, not even as a resident." 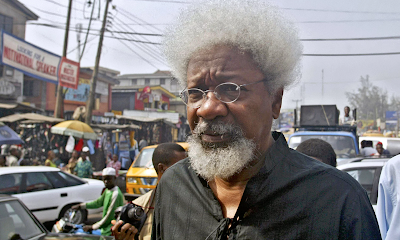 Interested in Soyinka? CW/MARS has many of his works.